Please note that these pages are the result of a LOT of hard work by the people at PetRodents, unpaid work at that. If you like what you see, please link to us so these hard-working folks get the credit they so richly deserve for this labour of love. Thanks! It’s unclear what genetics go into creating odd-eyed mice. 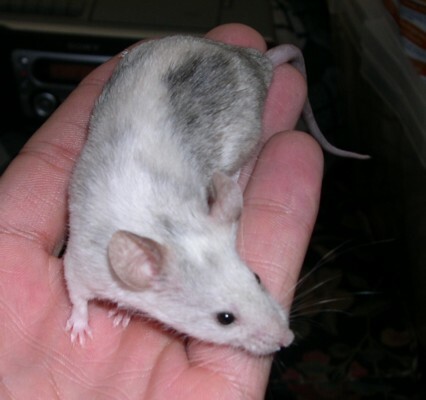 It could be caused by the unstable expression of a gene on the C-locus, or could be some form of chimera (an organism that contains cells or tissues with different genotypes).Breeding of odd-eyed mice produces odd-eyed offspring, so there is clearly some inheritable genetic component of this trait. Transgenic mice have either been liberated from a lab, purchased from a laboratory supply house, or are descended from mice who have. These mice contain segments of genes from other species and were originally created for experimental study.Since there really is no way to determine what genes are present in any transgenic mice other than those purchased directly from a laboratory supply house, a whole range of oddities may be possible with these guys, some of which are discussed below.Transgenic mice can be black, albino, agouti or splashed. 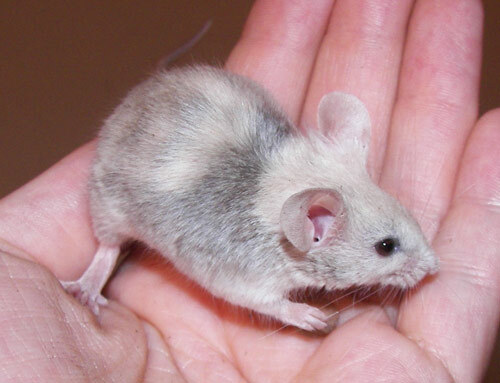 Mixed varieties from breedings with other mice may be any colour. 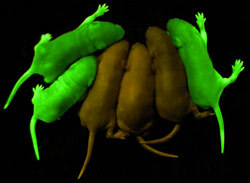 These are a variant of the transgenic mouse, containing the genes responsible for the green flourescing protein (GFP) in jellyfish. 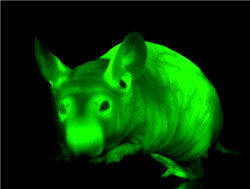 Under certain wavelengths of ultraviolet (UV) light, usually around 488 nm, the skin of these mice will appear to glow green. The hair is unaffected. 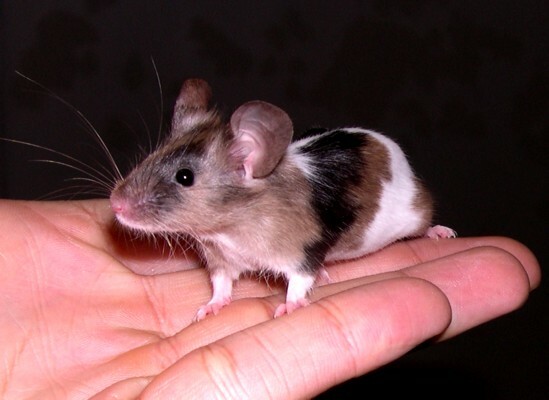 Tricolour mice are another example of transgenic mice, and it is believed that the patches of colour are caused by a genetic instability. Expression of the tricolouration is linked to the presence of two recessive genes on the C-locus, although breeding has shown that it’s not actually located on the C-locus. The effect of the tri-gene appears to be akin to counteracting the dilution from the recessives on C, thus allowing the hair in those areas to revert back to their non-diluted state. 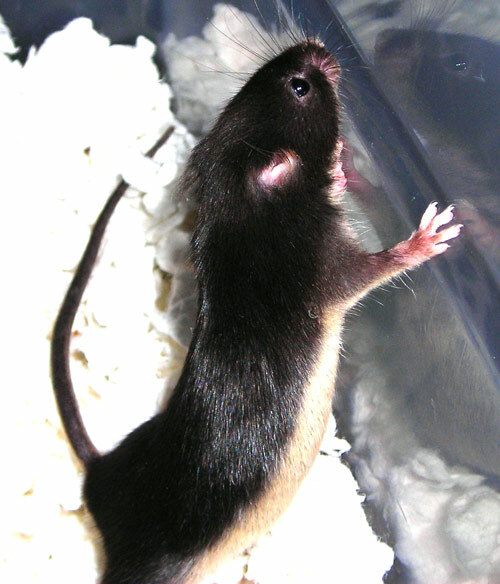 This implies that the tricolour mutation is present in mice with a dominant gene on C, but the effects aren’t noticeable since the reversion colour is identical to that displayed by the dominant C (e.g. black patches on a black mouse). 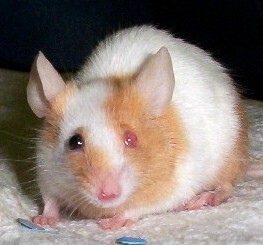 The presence of the tricolour mutation is also not visible on albino mice (c/c) since this combination masks the expression of all other genes.This is a relatively recent development in mouse colouration, and is still being explored; tricolours can be seen with agouti and blue mice as well as the more common cream or brown. Still another variation on the transgenic mouse. 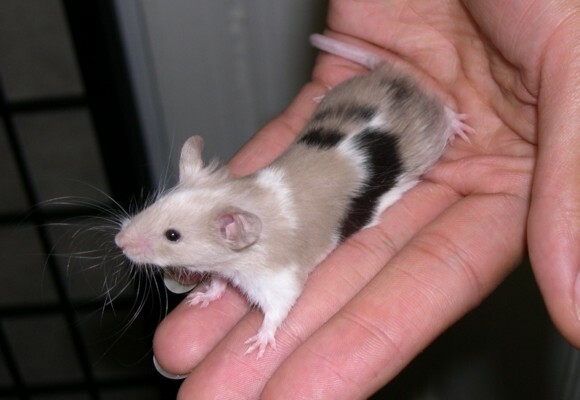 The incomplete expression of the tricolour mutation can lead to what is known as a splashed mouse. 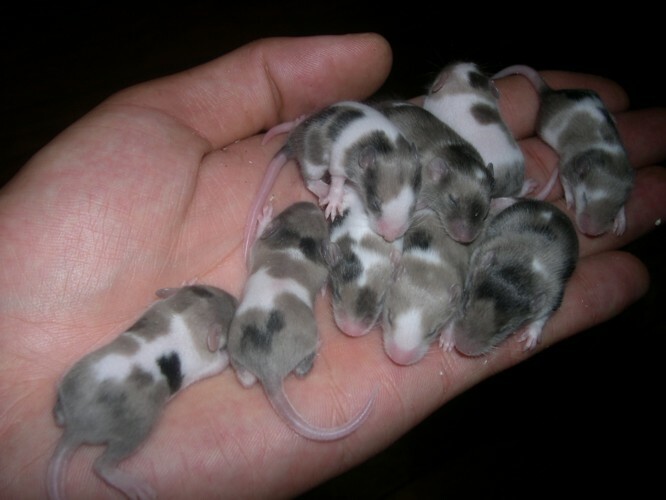 These mice appear mottled or marbled randomly. This is an interesting, yet uncommon, anomaly that transmits as a simple recessive.